This is a used easel with paint on it, scratches and signs of normal wear, but functions well. The only reason I’m selling is because my studio has a very low ceiling, and this easel needs a little higher ceiling. I love the easel, it’s beautiful and is so nice to work with. 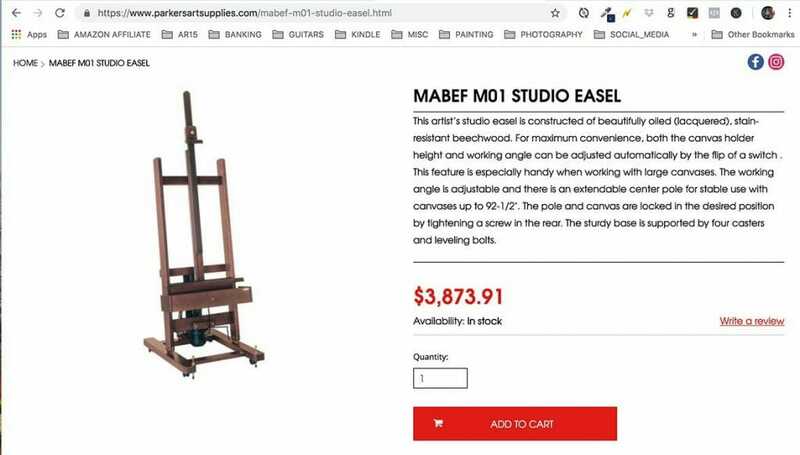 This easel retails for $3,800 in some places. At mabef, they currently have it on sale for $2,000 here. 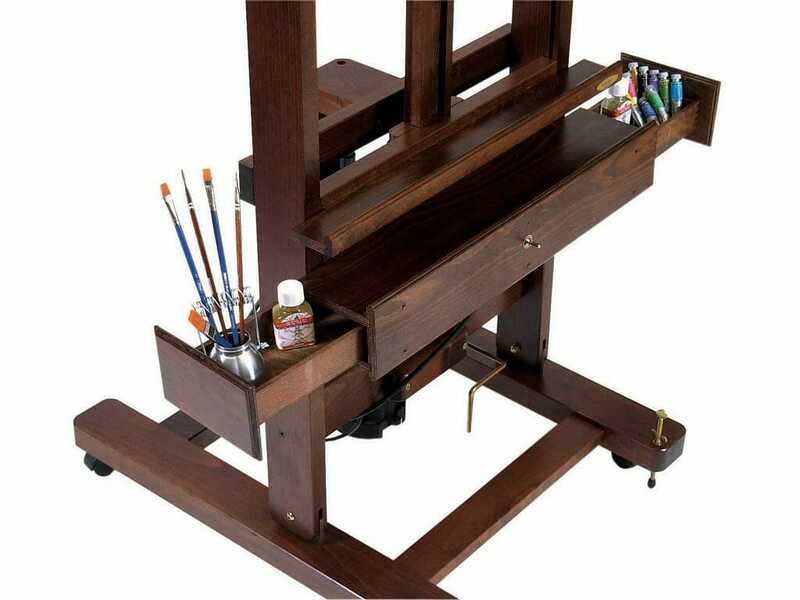 This artist’s studio easel is constructed of beautifully oiled (lacquered), stain-resistant beechwood. For maximum convenience, both the canvas holder height and working angle can be adjusted automatically by the flip of a switch . This feature is especially handy when working with large canvases. The working angle is adjustable and there is an extendable center pole for stable use with canvases up to 92-1/2″. The pole and canvas are locked in the desired position by tightening a screw in the rear. The sturdy base is supported by four casters and leveling bolts. Note: The pictures and video are not of my actual easel. I have not taken any pics yet because my easel is in storage. When I take some pics, I’ll post them. 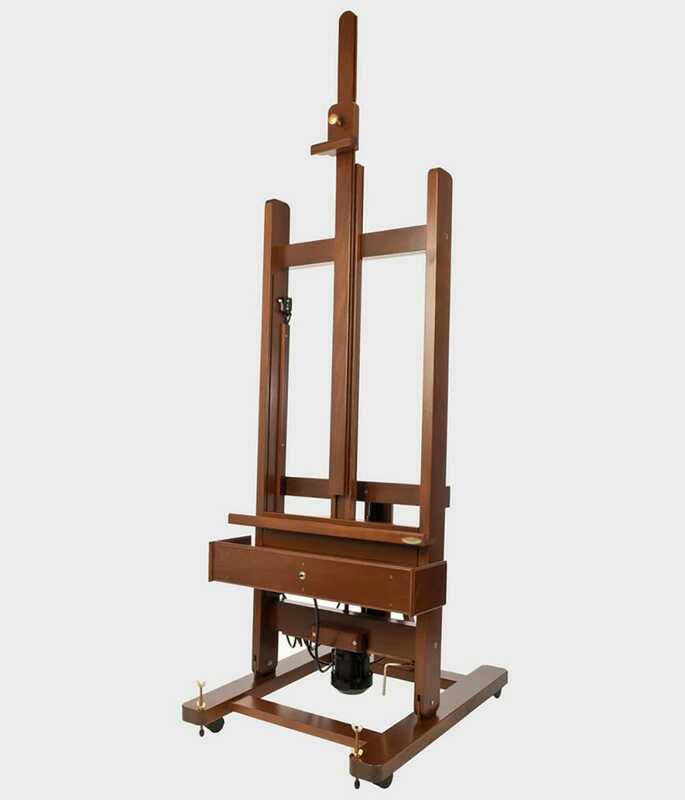 I purchased the easel many years ago at Utrecht Art Supply in Washington, DC, and used the easel to paint many great oil paintings on canvas. It works very well for small, medium and large canvases. The easel is available for local pickup only, in 20878 Maryland. No shipping available. If interested, please send an email expressing your interest, and we’ll take it from there.